Driving as a profession is very fulfilling, if you have a passion for the roads. Just by acquiring a C1 + E license or a D automatic bus or a B + E license, you can get a high paying job as a skilled professional driver. 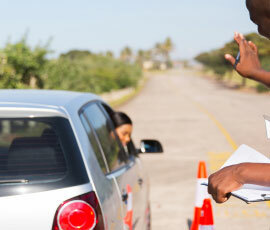 But for that you have to first undergo proper training from a good driving institute. Dhoot Driving School in Stockwell, London not only offers the training programs that would help you to acquire the above mentioned licenses but would also help you to become a safe and skilled professional driver, knowledgeable about the traffic rules, road safety policies and other different aspects of driving. All our training programs are designed with a combination of practical driving lessons and theoretical classes such that there is no gap in your learning. If you are worried that since you do not understand English, you would not be able to follow the theoretical classes or the instructions of your trainer, we have a solution for you. Our trainers are not only registered with the driving standard agency or DSA as approved training instructors but are also multilingual, meaning the trainers all know various languages and hence would instruct you in a language that you would understand. The theory books provided at Dhoot Driving School are all multilingual as well. The training vehicles are fitted with dual control systems and are also extremely well maintained such that there are no chances of any kinds of accidents during your practical training whatsoever. Apart from taking care of all the above mentioned factors, we would also assist you in all kinds of necessary documentation as well. You would need to fill up the provisional entitlement forms and the medical forms for getting your license and submit the filled forms to DVLA. You would not only get assistance in filling up the forms but we would also submit the forms on your behalf. The training program you would need to opt for to acquire a C1 + E license is the LGV (HGV) training program. This is the training program for driving heavy good vehicles or large good vehicles. There are other categories to choose from as well apart from the C1 + E license, which is meant for driving articulated LGV or HGV, and they are C up to 32 tons, C + E truck and trailer, C1 + E – 7.5t + trailer and C1 – license. These categories are meant for driving rigid LGV (HGV). The category that would be suitable for your would depend on your age and the weight you would be carrying in your vehicle. For acquiring a D automatic bus you would need to undergo the PCV training program. PCV stands for passenger carrying vehicle and this training program would help you to make a career in driving passenger carrying vehicle. D automatic bus and D1 minibus are meant for driving manually equipped PCV. The other categories are meant for driving automatic PCV and they are D manual coach, D + E coach & trailer and D1 + E minibus & trailer. The category you would be choosing would depend on your age and the number of passengers you can take on board your vehicle. The B + E license is meant for driving towing vehicles that can tow weights more than the maximum authorized mass or MAM. For acquiring this license you would have to choose the B + E car and trailer training program. For towing weights less than the MAM with your towing vehicle, you would need a B license. There are only these two categories in this training program. Of course your choice of a category would depend on your age as well. You would also need to undergo the driver CPC training program if you want to drive professionally. This CPC driver training is a new requirement as per the 2009 legislation and has been made mandatory. Among the several driver CPC modules, you would have to pass just the driver CPC module 4 and 2 initially. 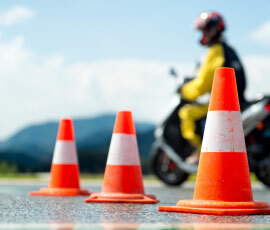 These modules include a practical driving test and CPC theory test with the CPC case study. You would also have to undergo a periodic training of 35 hours for 5 years to complete this training. You can also join our refresher training courses. Your worries of not being able to clear your driving test are baseless, when you enroll with us for a driving training program. The reason is our service of PCV pas protection and pass protection. This service would enable you to appear for a re driving test if you cannot pass your driving test for the first time around. To know in details about the above discussed training programs as well as to know more about the other services we have to offer, please visit us at Dhoot Driving School in Stockwell, London.